Pooch Perks - August 2015 + Coupon! What is Pooch Perks? 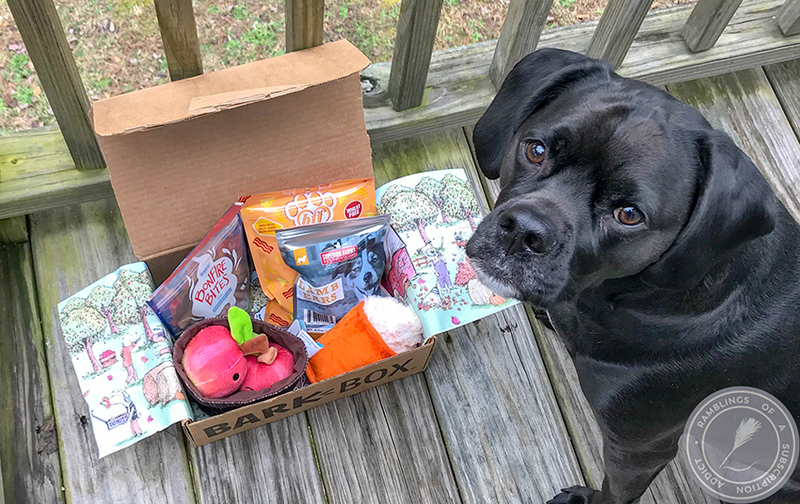 : As the name suggests, Pooch Perks is a monthly subscription box for your dog! You can choose between a box for smaller or larger dogs and choose from four different box size options. 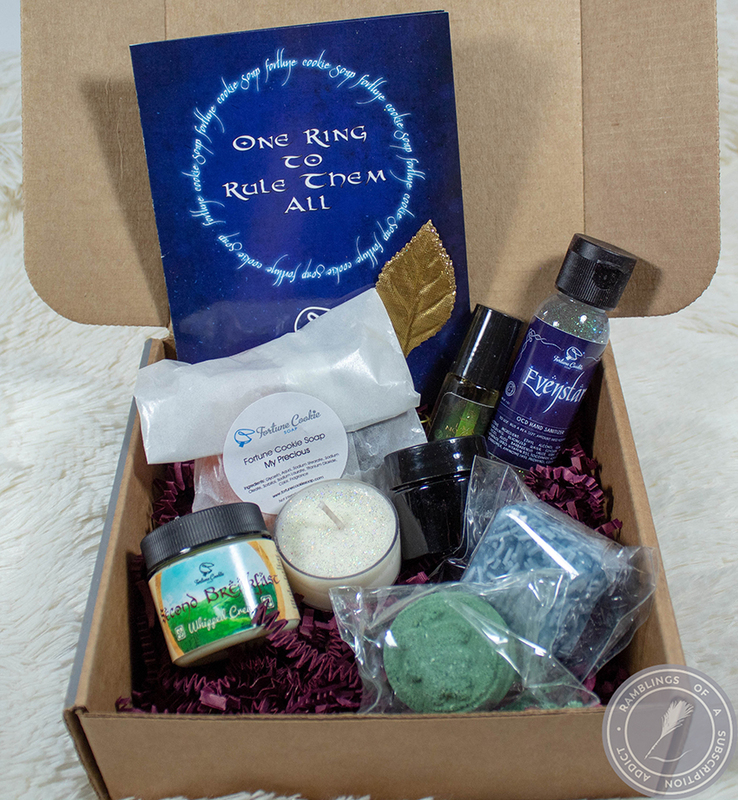 You can also choose a custom box if you know what you want! How Much is Pooch Perks? 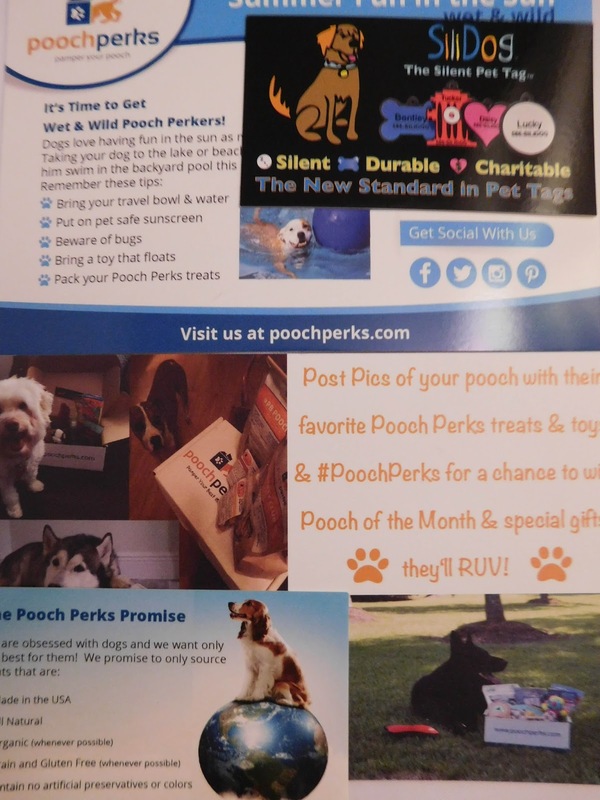 : The four options for Pooch Perks are Pennywise ($20.00), Popular ($29.00), Patriotic ($45.00), and Pampered ($50.00). 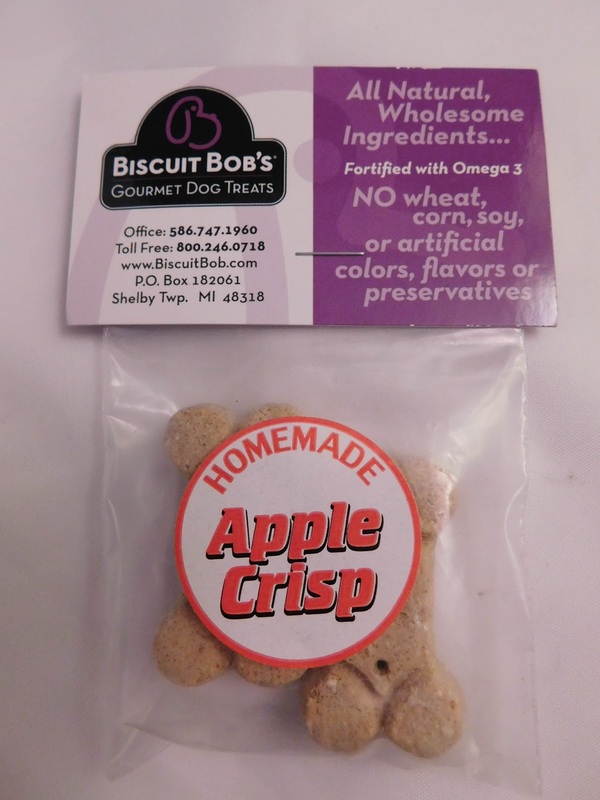 Their custom box that is treats only is $20.00 as well. All options have shipping included and the higher tier box you purchase, the more items you get in your box! Read further for a coupon code! 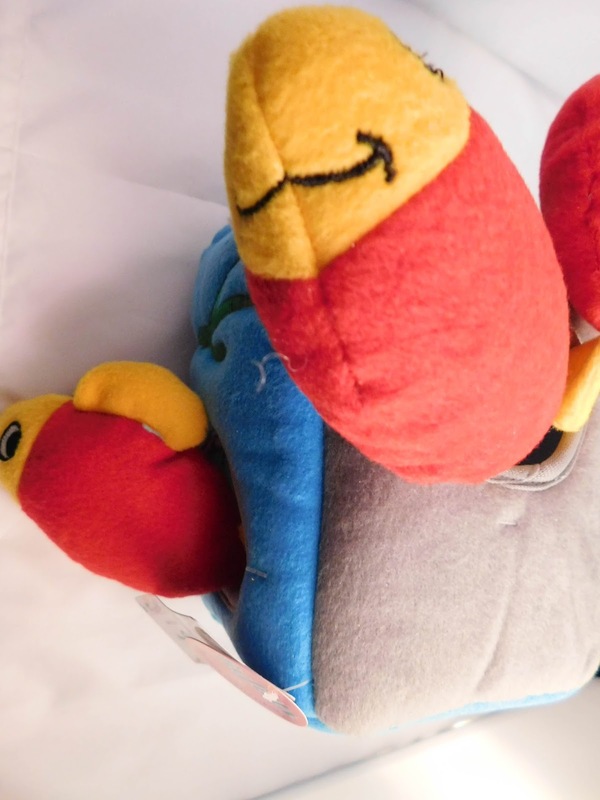 Zippy Burrow Aquarium ($12.99) - I was convinced that this was going to last approximately five minutes and then Trumpet was going to have it destroyed. Fortunately, he figured out he was supposed to take the fish out of the 'bowl' and play with those. He figured it out pretty quick, but I was able to refill it and he played for around two hours before finally just destroying the fish. The 'bowl' survived, so I'm getting the refills for him to play with in the future. A toy lasting more than five-ten minutes around here means it's the best toy ever! 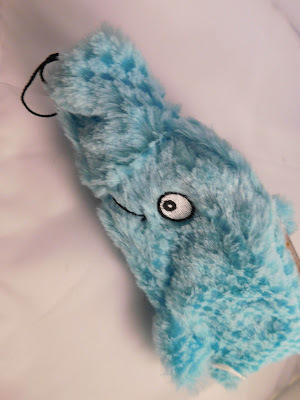 Bottle Crusherz Dolphin ($6.99) - This toy actually lasted a lot longer than I expected as well, at around 45 minutes. He finally chewed the nose part off and was getting to chewing on the bottle, so it was taken away at that point. Still, 45 minutes of playing for him with anything that's not a bone means it's worth it for me! 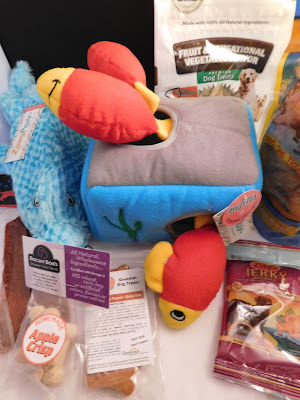 Also included but not pictured: Organic Ear Wash ($11.99) - Mine came in a plastic baggie and wrapped in bubble wrap, but it was open in the bag and I couldn't get a good picture without it going EVERYWHERE. Based on their website, the ear wash is to be used to prevent yeast infections, parasites, etc. that tend to happen in dogs. Luckily, ears haven't been a problem with Trumpet but I love the idea behind it. Lindy's Yogurt Peanutty Puppers (Trial Size) - These are great and Trumpet really seemed to like them. He has been getting a bit more picky with his treats recently, so I was afraid he wouldn't really like these. These are made with ingredients that you can actually read, which is always great! 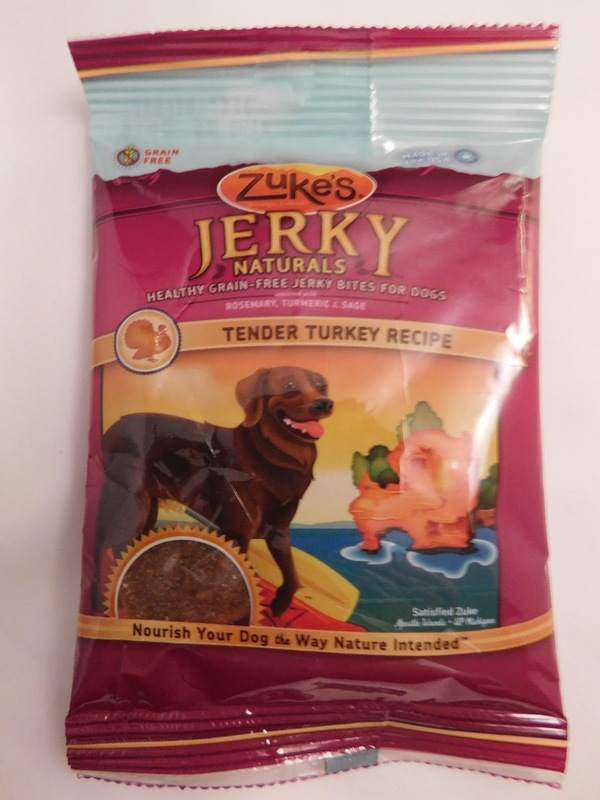 Zuke's Jerky Naturals (Turkey Bites) (Trial Size) - Trumpet really loves meaty treats, so this was an instant hit! 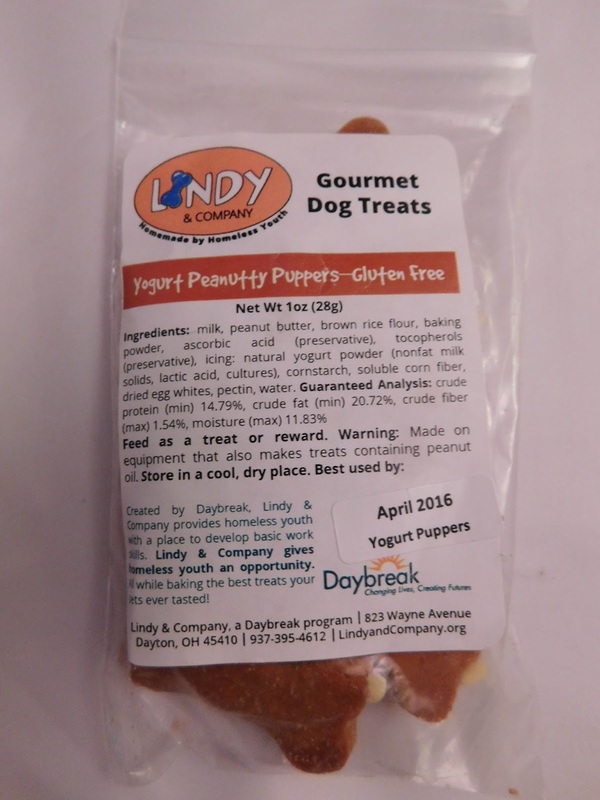 These treats are made with real meat and have fruits and veggies as well. They are great and Trumpet would have eaten the entire package if I would have let him. Apple Crisp Bones (Trial Size) - I found that these had to be broken up into smaller bits for Trumpet, as they are really hard. After I broke it up, Trumpet really seemed to like it. It's just definitely something to think about before buying. Trumpet isn't necessarily a small dog but he is still a baby in some ways, so that might have had something to do with it. Snif-Snax Salmon Fillets - Their website says 'Coming Soon,' so I have no clue as to the value. 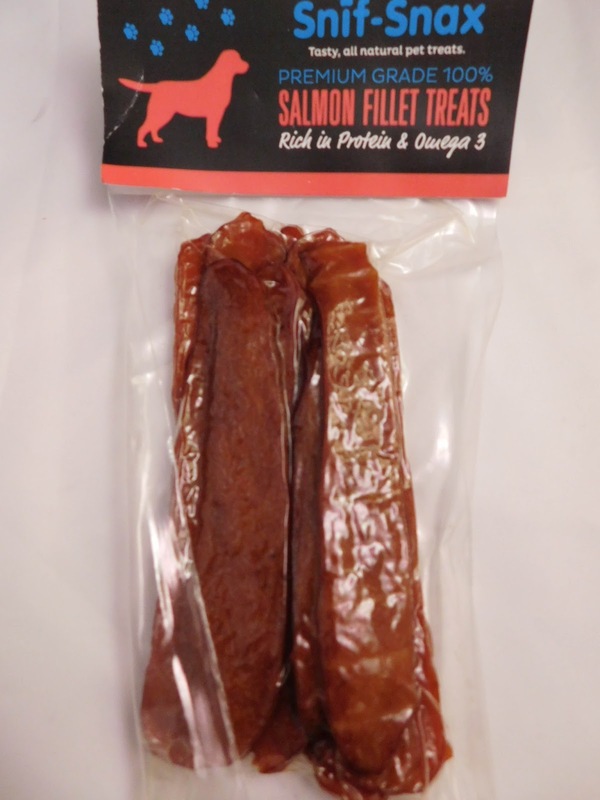 I do love that these seem legitimately salmon. They did get put in a baggie after opening though, because they are a bit smelly. Trumpet enjoyed this, though, and loves that it was a bigger treat than the smaller ones he's been getting recently. 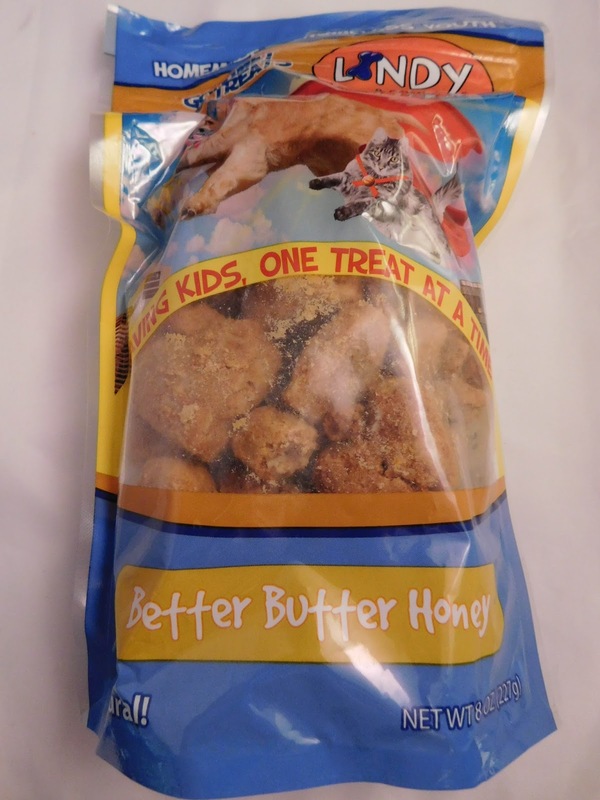 Lindy's Better Butter Honey Training Treats ($5.00) - Trumpet definitely does need training, so hopefully these work some sort of miracle! Either way, he loves these and I'll use them during his next training (stubborn) session. 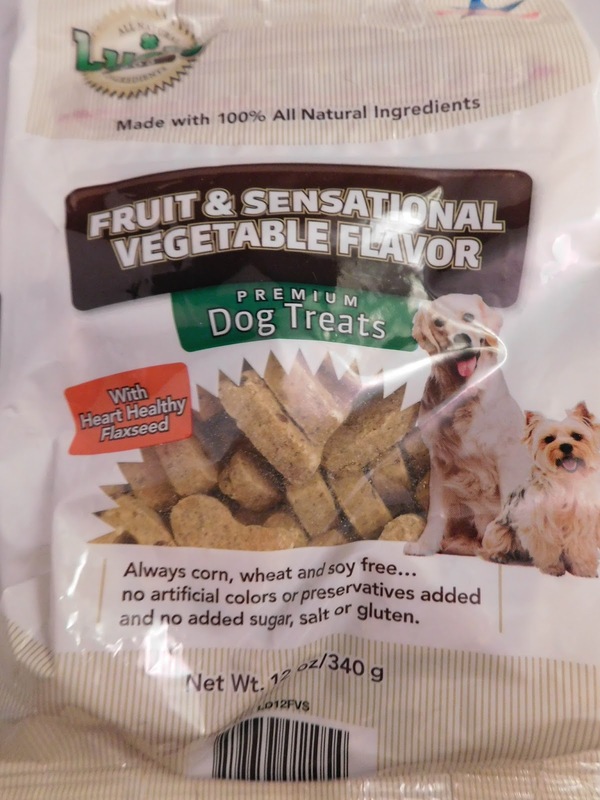 Lucky Dog Fruit & Sensational Vegetable Flavor ($ 4.99) - At this point, I decided Trumpet is so lucky because he has tons of treats. This is another crunchy one, which he loves munching on and making a mess with a ton of crumbs. They're made with natural ingredients, so I love that, and he loves eating them! 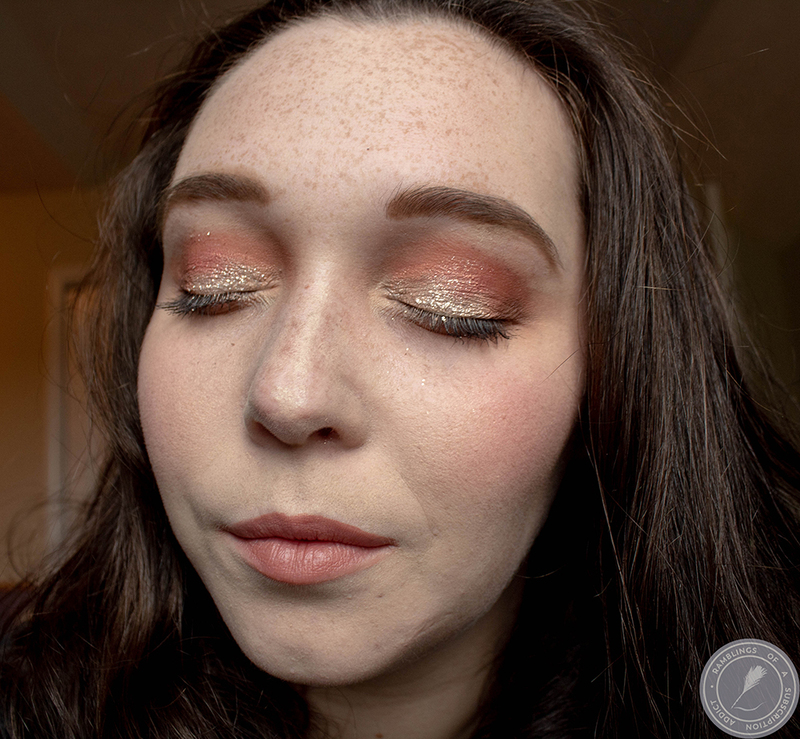 I didn't do a price breakdown because of the amount of trial sizes, but it is definitely worth the cost and meets the approximate box value of $35.00. Trumpet definitely loves all of the treats and I love when I can find a toy that isn't destroyed in a few minutes. As I mentioned earlier, I have a coupon code to offer to you! If you click here and use code PYP25 for 25% off!